Hyundai Motor Co.’s TV commercial aired during America’s biggest sports event of the year Super Bowl held last weekend topped the consumer rating in the automobile ad category and fourth in overall. Innocean Worldwide Inc., the advertising unit of Hyundai Motor Group said Thursday that “The Elevator,” a commercial it developed for Hyundai Motor and aired during the first quarter of Super Bowl LIII on Sunday (local time in U.S) won the top place in the automobile segment of USA Today’s Ad Meter, an annual ranking of Super Bowl ads rated by consumers. The ad also made the top 5 overall, ranking fourth out of total 58 ads aired during the Big Game this year. Hyundai Motor is the official car and sports utility vehicle of the National Football League. It is the 11th time of the past 12 years that the company has advertised in Super Bowl, according to the company. This year’s 60-second ad “The Elevator” shows an elevator operator taking passengers to life’s most uncomfortable experiences such as a visit to a dentist’s office for root canal therapy and taking a middle seat in airplane then to finally arrive the top floor, delivering a pleasant experience of simple and easy purchase of a Hyundai car. The ad features a “Shopper Assurance” program for an easier car shopping process and “Palisade,” the automaker’s new flagship SUV that is scheduled to hit North America this summer. 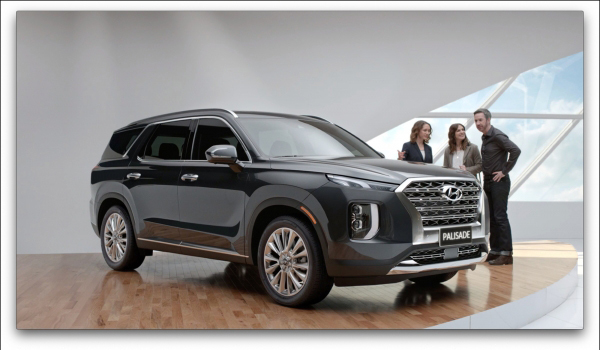 The ad agency said the visitor traffic to Hyundai Motor’s website more than quadrupled after its Super Bowl ad aired on Sunday, inquiring about Hyundai’s Shopper Assurance program and Palisade.